5 things The Flintstones can teach us about email & social marketing, well, what do you expect? 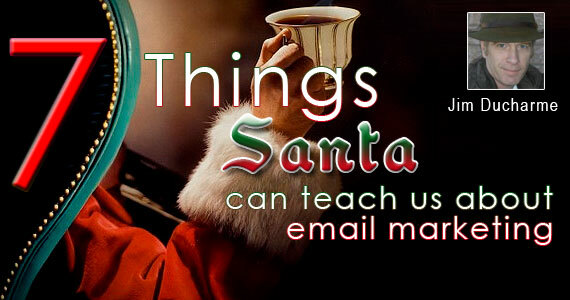 Here’s some wisdom for email marketers from the jolly old elf himself! Santa has been segmenting his list since day one. He’s got the naughty list and the nice list. And he checks it at least twice! Excluding over enthusiastic parents, Santa’s list is 100 percent opt-in. Santa’s clients (as every parent knows) are always convinced they will get what they expect from him. Spammers are all on the naughty list. It’s vital because the naughty and nice lists need constant updating. Can anyone top “Dear Santa” for a subject line? Facebook Messaging: So, what's wrong with email? Email marketing: A love-hate relationship...Yipee! Santa can also teach us the importance of a good tagline. His current one is “Never Knowingly Undersnowed”, which followed the original “Chimneyz Meanz Giftz”.